Conspiracy theory What happened during the Chernobyl Disaster? What happened during the Chernobyl Disaster? The Chernobyl Disaster (or Chernobyl Accident) of April 26th, 1986, was one of the worst nuclear mishaps in history. This disaster was equivalent to ten Hiroshimas and the fall out resulted in more deaths than the actual explosion. The man in charge at the time of the disaster was Dyatlov, a victim of a nuclear accident involving submarines many years prior. The incident exposed him to three lifetimes worth of radiation, which he took home to his son. His son later succumbed to Leukemia as a result and died. This tragedy in Dyatlov’s life pushed him to enter the field of nuclear power, possibly due to a personal need to prove his competence. It was determined that the submarine’s nuclear accident was a result of Dyatlov’s orders, though he was not accused of directly causing the mishap. This, combined with more recent allegations that Dyatlov was too disrespectful to his subordinates, may have contributed to his predisposition to take risks. Dyatlov’s intense drive to prove himself led him to attempt a riskier version of the prescribed nuclear reactor test. This played an important role in this tragedy. However, several aspects of the nuclear reactor itself contributed to the eventual breakdown. One, the tips of the control rods, which act as both the brakes and the accelerator for the nuclear reactor, were graphite. This was an issue because the graphite interacted with the heat energy upon contact and, momentarily, exponentially increased the power when they tried to lower it. This was only for a moment that the energy surged, but the core was already unstable and over powered. That brief spike was the catalyst that finally triggered the disaster. The employees comprising the control room team on the night of the incident were not experts in nuclear power. They also had no way of knowing about certain safety shortcomings in the nuclear reactor. However, they did know enough to argue with Dyatlov that dropping the nuclear power to 200 megawatts was too dangerous. The KGB suggested that this kind of test be performed between 700 and 1000 megawatts. Going lower than that can cause the core to become unstable. Dyatlov may have felt that his authority was being challenged. He may have simply felt that nobody in the room was respectable enough, either in station or experience, to challenge his decision. Maybe it was a power grab. Either way, the result was the same. The steam explosion and the graphite fire, combined with the reactor’s roof being made of flammable material resulted in many deaths, both at ground zero and far beyond. The resulting explosion killed Vladmir Shashenok and Valery Ilyich Khomdemchuk, who were both working close to the reactor. Valery’s body was never found, and it’s assumed he’s buried in the rubble of the pump’s engine room. Vladmir’s spine was broken when a beam fell on him and he suffered deep thermal and radiation burns. He died in the hospital the same day of the incident. Another twenty-nine people died in hospitals over the next several days. Among these were the first responders, called “liquidators,” who helped secure the #4 reactor at Chernobyl. As a result, they were exposed to the highest doses of radiation and often died of ARS (acute radiation sickness) several days after their efforts. Lieutenant Volodymyr Pravik, leading the first brigade of firefighters, died May 9th of ARS. Nobody told him that the smoke and debris were radioactive. The firefighters rushed in as though it was an electrical fire. Cases of fatal child thyroid cancer spiked, a consequence of radiation exposure, as did other cancers in adults. Those who did not die in the explosion or from ARS could expect to have a higher risk of contracting cancer or suffering other health problems. Chernobyl is open to visitors and tourists, but they must be escorted in small groups by a guide. This guide monitors the radiation levels in the areas they visit and is tasked with moving the group quickly from high-risk areas. Some of Chernobyl’s previous residents have resettled in the town. They started allowing people to return after the first year, if they wanted to do so. 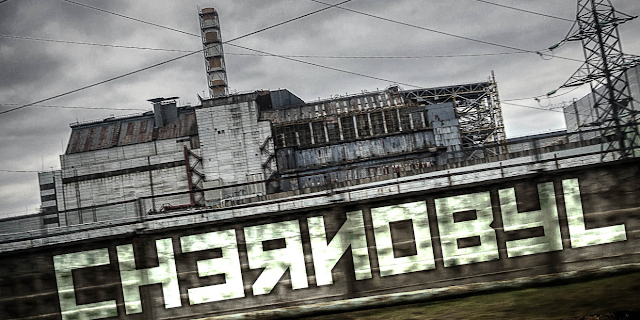 For some people, Chernobyl will always be their home, despite the significant health risks. Those that chose to move back into Chernobyl grow their own food there, as well, though sometimes they also travel to nearby Kiev for their staples. As for local flora and fauna, researchers have discovered some interesting changes. From beetles whose markings are ill-formed, to birds with deformed beaks, to spiders who spin their webs in erratic patterns, today’s Chernobyl seems to be adapting to the radiation. It seems that some birds are actually adapting to low level radiation in Chernobyl, producing more protective antioxidants. This is causing a significant decrease in genetic malformations in these birds. When researchers cut down trees in Chernobyl, they noticed that from 1986, the rings were a darker color. An entire forest in Chernobyl blooms red instead of green due to the radioactive pollution. 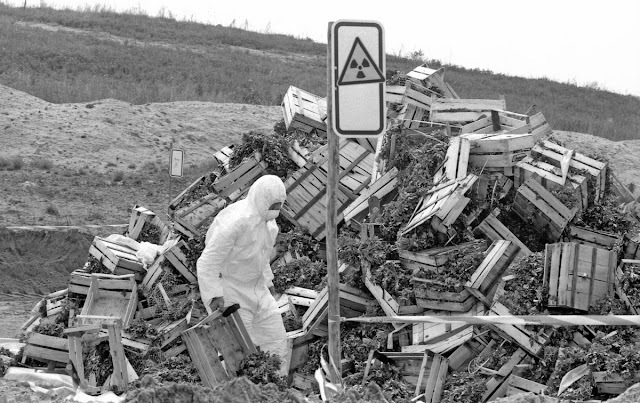 If anything good has come from the Chernobyl tragedy, it’s the opportunity to study more closely the effects of radiation on nature. Understanding how it affects the local wildlife and plants can help us better grasp the potential effects on human beings. The accident at Chernobyl also sent out a dire warning to the world about the dangers of nuclear plants. Mishandling the reactor or ignoring safety protocols are taken much more seriously today than in 1986, largely due to the events that transpired on April 26th. However, there are still some nuclear power plants where employee safety and mishandling of nuclear waste are cause for concern, as they have resulted in many adverse health effects. Hopefully in the coming years, we can stop relying on energy sources that produce radioactive matter and move into green energy.